WestJet today announced the appointment of Colleen Johnston to its Board of Directors. Johnston's appointment will be effective immediately. "We are thrilled to have Colleen's expertise on our Board," said Clive Beddoe, WestJet Founder and Chairman of the Board. "She brings a wealth of knowledge from the financial services sector as well as considerable community leadership skills. 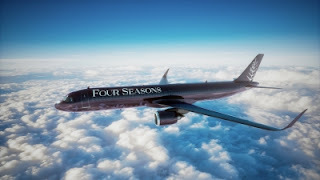 Her addition to the board is invaluable as we enter the next phase of WestJet's global growth.". 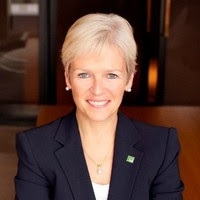 Most recently, Johnston served as Special Advisor to the CEO at the TD Bank Group prior to retiring in 2018 after 14 years with the bank. Across her years of service, she was the Group Head of Direct Channels, Technology, Marketing and Corporate and Public Affairs. She also spent more than ten years as Group Head, Finance, Sourcing, Corporate Communications and Chief Financial Officer and was actively involved in promoting diversity and inclusion as the Chair of the Women in Leadership Committee. Prior to joining the TD Bank Group, Johnston held senior leadership roles at Scotiabank. Johnston holds a bachelor of business administration from York University's Schulich School of Business. She received her chartered accountant designation in 1984 and was elected a Fellow Chartered Accountant in 2006. She has received numerous industry honours including Canada's CFO of the year in 2012 and was recognized by Women's Executive Network as one of Canada's Most Powerful Women three years in a row. In 2007, Johnston was also inducted into Canada's Most Powerful Women: Top 100 Hall of Fame.